Sign into the CentreStack server's management portal as a cluster or tenant administrator. Click on the CentreStack tenant to be associated with Azure AD. Save the text in the text editor to a file. It will be used later when configuring Azure AD. Leave the CentreStack portal page open as there will be Azure AD settings that will need to be configured in this page. Start a new browser tab or window and navigate to https://portal.azure.com. 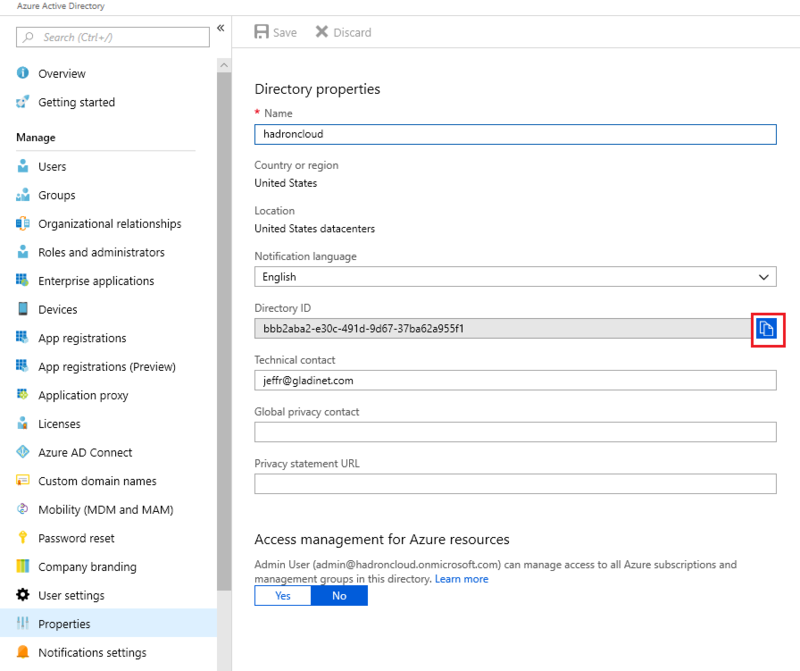 Sign in with your Azure AD (Office 365) credentials. Click the Save button in the Properties blade. Click the three dots at the end of the row and then click Delete. Close the three blades such that the App registration node is displayed. Click on the Enterprise applications node. Locate the new app and select it. Click on Users and groups node in the Enterprise Application. 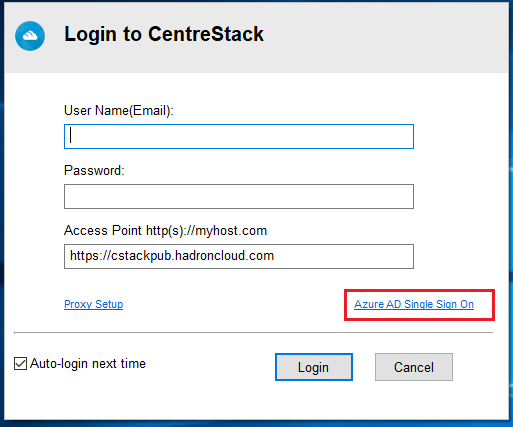 Add users that should have access to the CentreStack app in Azure AD (groups are only available for assignment in Azure AD Premium). Close the Enterprise Applications blade. Switch back to the CentreStack portal. There are two methods to sign into CentreStack. The first is Identity Provider (IdP) initiated. Navigate to https://myapps.microsoft.com. If you are using the same browser, you won't be prompted for sign in again. Locate the CentreStack application you created and click on the app. If you watch the address bar you will see some redirects but eventually you should be signed into the correct tenant in the CentreStack portal without being prompted for credentials. The second method is Relying Party (RP) initiated. You will see some redirects if you watch the address bar, including 'https://login.microsoftonline.com'. If you are using the same browser, you won't be prompted for credentials because your browser already has the token from the previous sign in to Azure AD. You should see the CentreStack portal page. 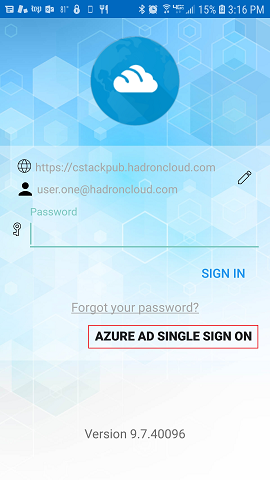 When setting up the Android client, type in the CentreStack server end point and user name on the first screen, then in the password screen press AZURE AD SINGLE SIGN ON as seen in this screenshot to start the Azure AD sign on process.